Image: Image: PALMIHELP/Getty Images. Design: Ashley Britton/SheKnows. Imagine giving birth to a healthy baby boy — then, just a month later, delivering twins. That’s just what happened to a Bangladeshi mom, due to a rare condition called uterus didelphys (“double uterus”). 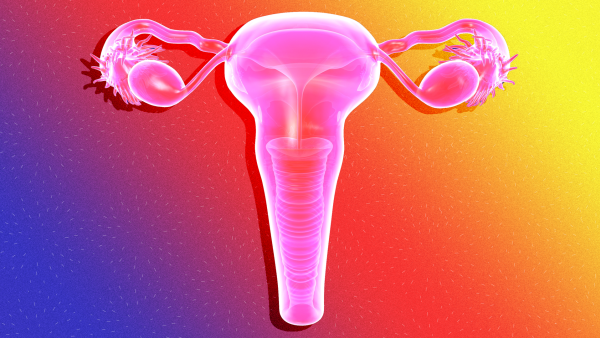 The condition is a congenital abnormality, according to the Mayo Clinic, that occurs when the uterus does not form properly. Arifa Sultana had a baby back in late February — a boy — and assumed she was on the road to recovery. But a few weeks later Sultana began experiencing pain in her lower abdomen. She visited Dhaka’s Ad-Din Hospital, where she had an ultrasound performed (and nope, she didn’t have one during that first pregnancy). Surprise! The doctors discovered Sultana had two wombs. And twin babies were taking up residence in the second one, much to Sultana’s shock. The news was confirmed by gynecologist Sheila Poddar, who works at the hospital, according to CNN. Dr. Poddar performed a c-section on Sultana, delivering safely a boy and girl. “All three children are safe and healthy,” Poddar said. “The mother is also fine.” Well, as fine as you can be when you’re already the underslept mom of a newborn and someone’s just handed you twins. Twitter has all the feels for this mama. Mom: I just gave birth a month ago but I'm still having pains. Doctor: let's do an ultrasound.. Oh there's another one in here. Doctor: no.. There's two more babies. I was talking about the 2nd uterus. Between this and Tom Hiddleston’s Chinese Centrum Women’s Vitamins ad? People are losing it today and booking therapists right and left. The condition can increase the risk of premature birth or miscarriage, but Sultana’s is not the only case of a woman with uterus didelphys being able to carry children to term successfully. However, you’d have a better shot at winning the lottery than having this condition and giving birth to twins: CNN reported that the National Institutes of Health called the odds at one in a million. So Sultana is basically either the luckiest or unluckiest mom in the world, depending on just how sleep-deprived you are when you’re reading this article. We’re going to have to update our Uterus Users’ Guide, dammit.